Is This The Proof That Facebook's CEO Mark Zuckerberg Wants 'No Privacy'? 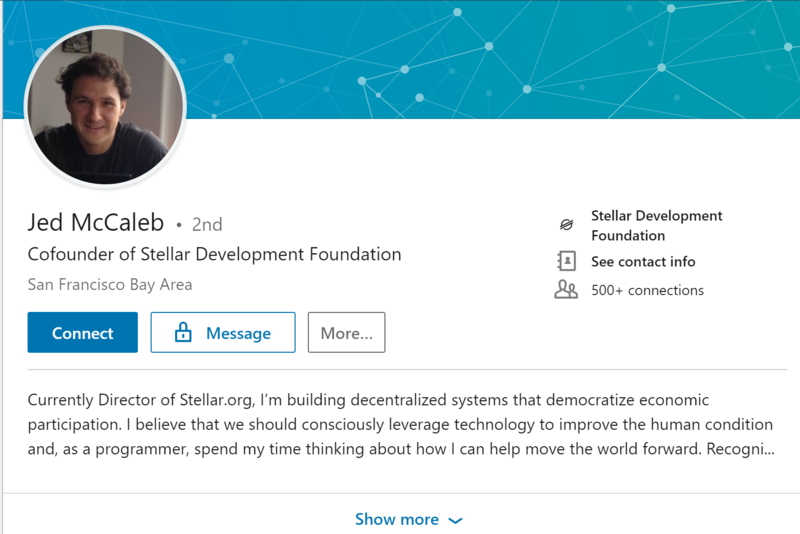 Interesting that Jed McCaleb founder of Ripple and Stellar...chooses to omit Mt. 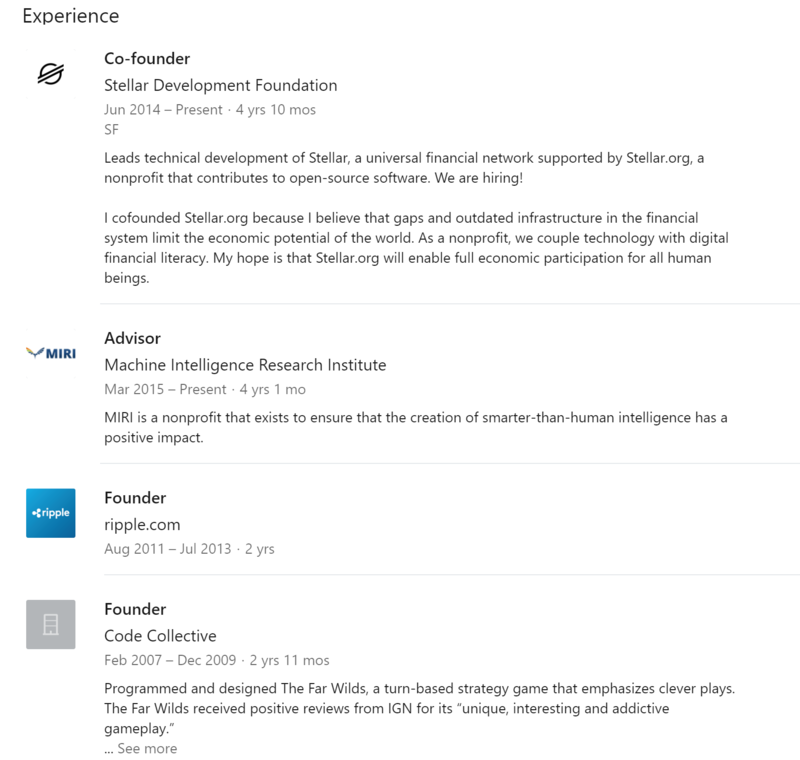 Gox in his Linkedin profile! So why would he do that?? GET Protocol buyback today at 14.00 CET. Still a huge win even if you go in today. The art of the steal. How crypto scams are done! As a financial instrument born without regulation, Bitcoin quickly turned into an iterative exploration of precisely why each financial regulation exists. A “trustless” system attracts the sort of people who just can’t be trusted. Many crypto scams are quite complex; some are simpler than you might expect. Many are everyday dodgy investment opportunities but with Bitcoin. It can be difficult to distinguish malice from incompetence. The general problem is that you don’t know who or where these people are, and they routinely just disappear with everyone’s money. Ponzi schemes: in which early investors are paid using money from later ones. These are so attractive to crypto fans that when Ethereum took blockchains and added “smart contracts” (programs that run on the blockchain), the first thing people did was write automatic “honest” Ponzis. High-yield investment programmes: a variety of Ponzi scheme. You might think it obvious that no investment scheme could pay 6% interest per week sustainably, particularly when it claims a “secret” investment strategy, but what worked on Bernie Madoff’s victims works on Bitcoiners. Coin doublers: send it a small amount of bitcoins and you’ll get double back! (No reason is given why anyone would just double your money.) Send a larger amount straight after and … you won’t. You’d think people would catch on, but years later these keep popping up and finding suckers. Mining software: if you aren’t designing your own mining chips and running them off super-cheap power, you won’t have been able to break even mining Bitcoin since late 2013. But people keep claiming you can still mine on your PC. The software frequently includes malware. Cloud mining: you invest in remote mining hardware. Many such schemes appear indistinguishable from Ponzis; there is generally no evidence the money-printing machine you’re renting even exists. Scam wallets: sites offering greater transaction anonymity, but which just take everyone’s bitcoins after a while. Biased “provably fair” gambling: “Provably fair” gambling sites generate their random numbers in advance then send you a cryptographic hash of the sequence of numbers, so you don’t know the numbers ahead of time but you can verify the hash afterwards. Some sites, if you don’t grab the hash, then use a biased sequence of numbers instead. Scam versions of normal services: exchanges, bitcoin mixers, shopping deal sites and so on. 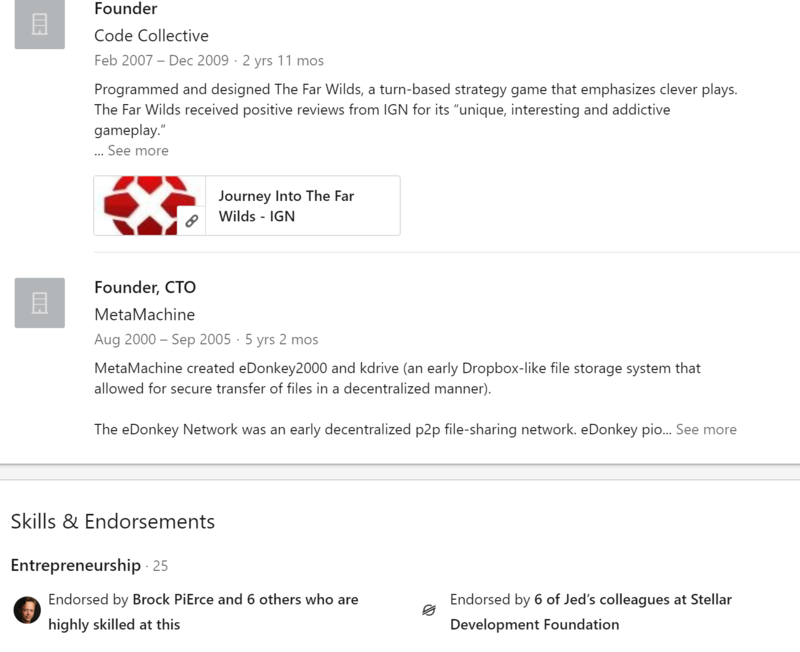 You have no idea who these people are, and every now and then they’ll just take your bitcoins or link you to phishing or other scam sites, possibly including the gift of malware. Fortunately, Bitcointalk.org deals harshly with scammers: it may add a “scammer” tag to someone’s forum name, or list their site in the “List of Bitcoin Scam Sites” thread. Many Bitcoin advocates consider the scammers worth it to be free of government regulation. Anarcho-capitalist Jeffrey Tucker wrote an amazing apologia, “A Theory Of The Scam,”66 in which he admits Bitcoin is suffused with fraud, but posits that “scam artists are the evil cousins of genuine entrepreneurs” and are actually a sign of health for an area – so, since good things had scams, this scam-riddled thing must therefore be good! (With all this horse poop there’s gotta be a pony in here.) No doubt subprime-mortgage-backed collateral debt obligations, Business Consulting International and Bernard L. Madoff Investment Securities LLC were just severely underpriced investment opportunities. Gerard, David. Attack of the 50 Foot Blockchain: Bitcoin, Blockchain, Ethereum & Smart Contracts . Kindle Edition. "The problem is that Bitcoin is deflationary. Let’s assume for a moment that Bitcoin economic theories work. As economic value traded in Bitcoins increases, the limited supply means the economic value per bitcoin goes up, which means that the price of things in bitcoins goes down. This means the dollar value of one bitcoin indeed goes up! However, it also means there’s absolutely no incentive to spend your bitcoins if they’ll always be worth more tomorrow. This means economic activity goes down, and if there are alternatives – other cryptocurrencies, or just using existing payment systems – Bitcoin loses users and interest." (from "Attack of the 50 Foot Blockchain: Bitcoin, Blockchain, Ethereum & Smart Contracts" by David Gerard)"
There is a good point here. Why would people use bitcoin if the price is going up? ...did you hear the news that the Peso has so huge inflation that they now has started to pay with Coffee beans in Venezuela???.. Some are using crypto, but apparently not enough. Be aware that you don't broadcast your addresses when browsing the net. Go to Settings and enable Privacy Mode. "New Report Warns 87 Percent of Cryptocurrency Exchange Volume Is Potentially Suspicious"
"This course has nothing to do with understanding blockchain development. It's about using tools to look at the bitcoin implementation and then do a dumb clone of bitcoin which brings nothing new to the table. 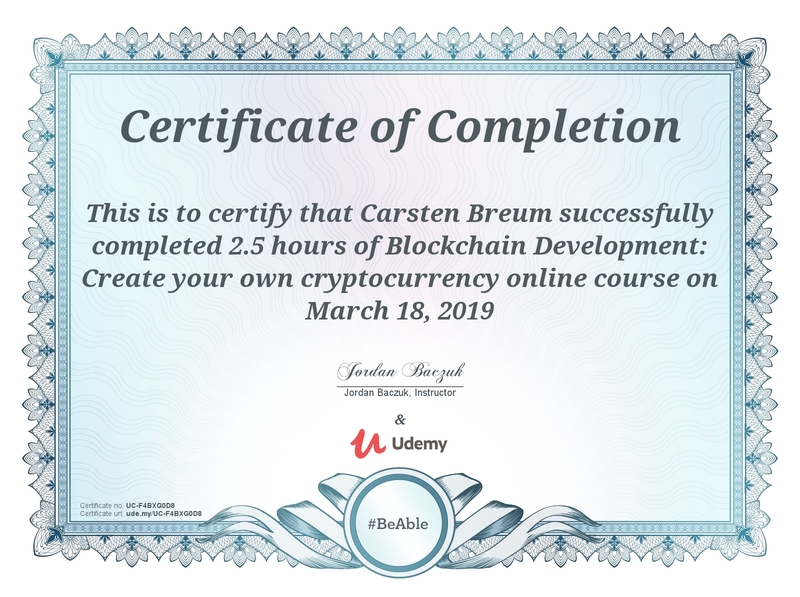 You WON'T be able to create your own real blockchain from scratch after this terrible course. The instructor doesn't go into any detail about the consensus algorithms and does not even mention proof of stake. I was expecting a course that did some real development from scratch. If that's what you are looking for then don't enter this course."